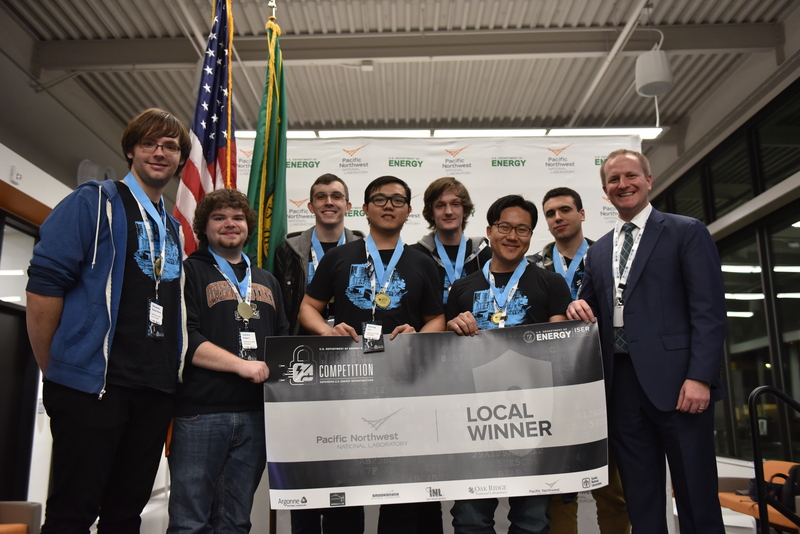 CORVALLIS, Ore. – A student team from the Oregon State University College of Engineering placed third nationally out of 70 teams in the Department of Energy’s CyberForce Competition, a virtual challenge that involves protecting the information technology of the nation’s energy infrastructure. In addition, the OSU Security Club was one of seven regional winners in the competition, held last weekend at Department of Energy labs around the country. The Pacific Northwest National Laboratory in Richland, Wash., hosted the 14-team regional that Oregon State won for the second straight year. “The College of Engineering has deep research expertise in cybersecurity, and the success of these students is a direct reflection on the world-class faculty they learn from and work with,” said Scott Ashford, dean and Kearney Professor of Engineering for the college. In the Cyberforce Competition, teams are tasked with safeguarding existing systems and deploying new ones in order to secure a variety of business applications, explained OSU team captain Zander Work. Club advisor Yeongjin Jang, assistant professor of computer science, said the competition environment closely mimics that of power plants and other energy facilities. Teams were scored on their ability to design a security architecture, document the architecture for an IT administration team, and make all systems functional for end users while detecting, blocking and generating incident reports about cyberattacks. Joining Work on the OSU team were Zach Rogers, Curtis Warrick, Khuong Luu, Travis Whitehead and Hadi Rahal-Arabi. Work, Rogers and Warrick all work in the Oregon Research & Teaching Security Operations Center at OSU. Whitehead is part of OSU’s Open Source Lab, Rahal-Arabi works in IT with the College of Forestry, and Luu designs infrastructure and web applications for large financial data analyses at the College of Business; Luu is also a computer science teaching assistant. For a month leading up to the competition, the team identified vulnerabilities in existing systems; designed, configured and deployed new systems; and built functionality for end users. Central Florida was the overall winner of CyberForce, followed by Kansas State and then Oregon State. At ninth, the University of California, Berkeley, was the only other Pacific 12 Conference school in the top 10. OSU also placed ahead of a number of other high-profile institutions including Columbia, Maryland, Kansas, Indiana, Clemson, Texas A&M, Purdue, Florida, New York University and the United States Military Academy. Joining Oregon State in the PNW regional were teams from three University of Washington campuses as well as teams from Washington State, Idaho, Columbia Basin College, Green River College, Highline College, Indiana Tech, the University of Texas at Dallas, Western Washington University, Whatcom Community College and Whitworth University.